There’s nothing like snuggling up on the couch with a book and some hot chocolate on a cold winter’s night. What else do you need? Well, maybe some weed wouldn’t hurt. Cannabis consumers in Massachusetts were certainly inspired during a winter storm a couple weekends ago. Per the state’s Cannabis Control Commission (CCC), recreational marijuana sales reached $681,053 on Saturday, January 19, for 15,790 products – a record on both counts. But the next day, customers spent just $188,525 on marijuana products. This was the second-lowest sales number since the first recreational stores opened in late November (the lowest being New Year’s Day, when sales hit $156,557). We’ll keep tracking the recreational marijuana sales data in Massachusetts (and other states that publish it). Who knows, maybe marijuana sales will develop seasonal patterns the way retail does. (Black Friday pot, perhaps?) 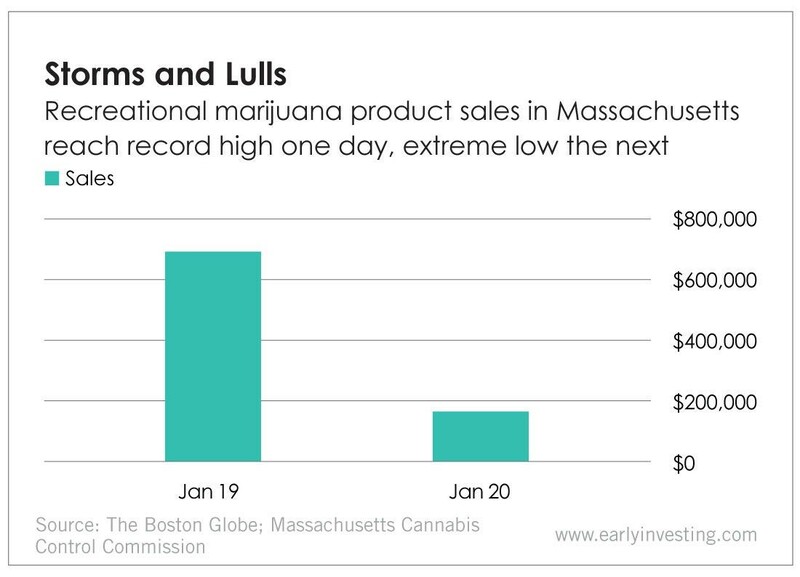 But right now, it’s important to keep in mind the legal marijuana market in Massachusetts (and many other states) is still very new. And when the first two retail marijuana shops in the state opened on November 20, they were overwhelmed by the demand. There are now eight recreational marijuana dispensaries in Massachusetts. One more is slated to open later this month, and the CCC issued retail licenses to three more dispensaries last week, so more are on the way. All this indicates a growing market. So do marijuana sales. When the first retail marijuana shops in the state opened in November, gross sales for that week totaled $2.22 million. Last week, they were $3.36 million. 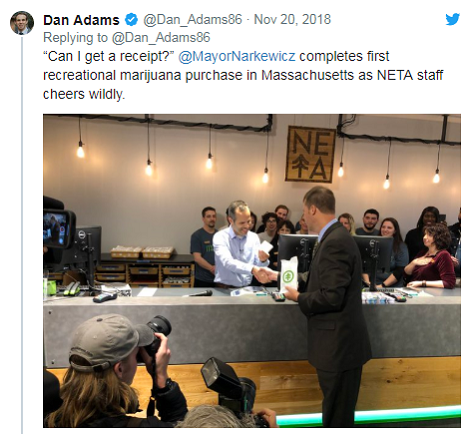 And in just two months, Massachusetts dispensaries have generated almost $24 million in revenue. Things are moving along… and this market will only keep growing. The post Massachusetts Turns to Marijuana to Stay Warm appeared first on Early Investing.